Safestore Self Storage in Redhill is just a few miles from London Gatwick airport and offers secure rooms in various sizes. Your things will be safe in the care of our friendly, expert store team at Redhill. We believe in providing the highest quality security systems, which is why we only offer facilities which are equipped with and intruder alarms and recorded 24 hour CCTV. The purpose-built store is just off the A23 between Merstham and Redhill (just turn onto New Battlebridge Lane at the lights) and you'll see the store opposite the new Lime Tree primary school. We provide a wide variety of storage rooms so you can tailor your storage experience to suit your own specific needs. So if you're looking for storage in the Surrey area, or in Merstham, Reigate or Caterham, we can help. Call us today or get a quote above now. If this store isn't right for you, you can locate a suitable alternative here >> Storage in the south of England. We have a range of storage solutions at Redhill Safestore, whether you are moving house or just need some space to store your things. Use our storage size tool to help you decide what you need. 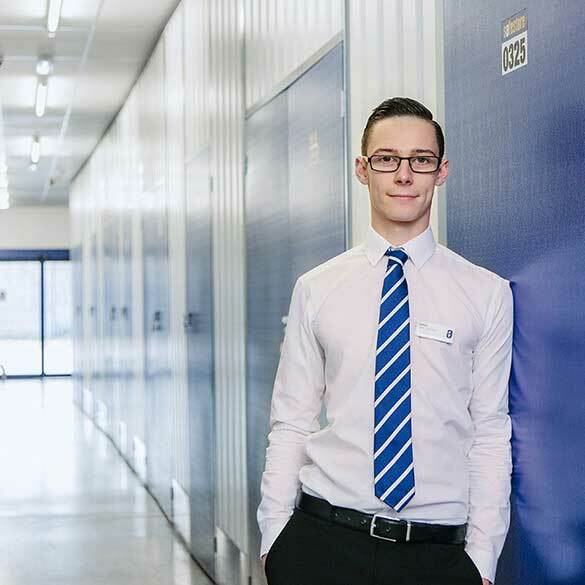 Get 50% off storage for up to 8 weeks at Safestore Redhill with no minimum stay. Offer available at all UK Safestore centres. Get a storage quote at Safestore Redhill today and reserve a unit for free. When you move in we won't need a security deposit either. Get 20% off at Safestore Redhill if you agree a stay for longer than 12 months. Terms apply.